A beautiful way to remember and give back to the earth. 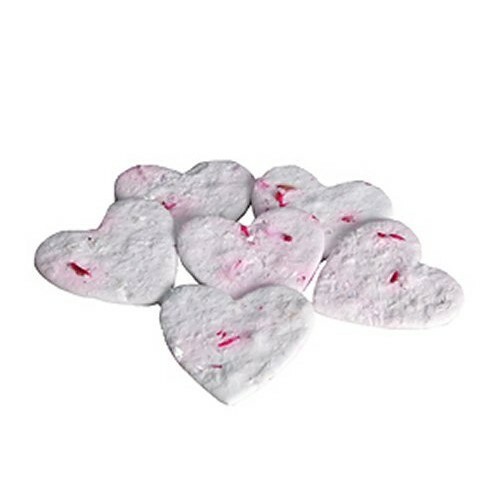 These beautiful heart shaped seed papers are handmade in the USA from 100% natural, biodegradable and recycled fibers, Forget Me Not seeds and plant material. Six hearts are packaged in a clear poly bag along with full planting instructions and this beautiful poem. "Those we have held in our arms for a while, we hold in our hearts forever". Individual hearts measure approx 2 x 2 inches.